A family-friendly neighborhood, Faliraki is known for being economical and trendy, while offering convenient options for restaurants and bars. The neighborhood's charm comes through with its friendly people. Take in the natural beauty of the sea, beaches, and parks—or broaden your horizons with some local entertainment. Book your hotel now and use Faliraki as your home base for exploring the sights in and around Rhodes. The local water park might be a top draw, but there are many others. Study the collections at Jewish Synagogue Museum, Museum of Rhodes, or Archaeological Museum of Rhodes. You can buy tickets to live performances at Rhodes National Theatre. Filerimos, Hellenistic Stadium, and Rhodes St. Francis Church are some local landmarks. 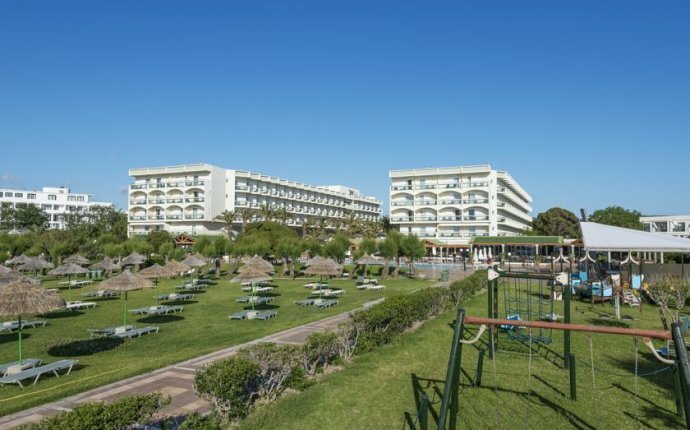 Hours of family fun are waiting at Water Park Faliraki, Kallithea Springs, and Rhodes Aquarium. Shopping, swimming, and taking an adventure tour are just a few things to do in the area. Soak up some sun at Faliraki Beach, Ladiko Beach, and Kallithea Beach. You can spend a leisurely afternoon outside at Anthony Quinn Bay, Rodini Park, or Andreas Papandreou Park. If you've got some more time, you won't be disappointed by Afandou Golf Course, Diagoras Stadium, and Rhodes Port. Some of the area's most popular sights are Acropolis of Rhodes, Temple of Apollo, and Palace of the Grand Master of the Knights of Rhodes. Afandou Beach, Kahal Shalom Synagogue, and Athinas Square will also leave an impression.